Whether you're looking for comfort, convenience, or affordability, the current mattress market has something for you. The Luxe Hybrid, a bed-in-a-box from Allswell, promised all three when it hit the market, and it didn't disappoint. The Allswell bedding earned hundreds of five-star reviews, and when it sold out, nearly 5000 people signed up for the waitlist. 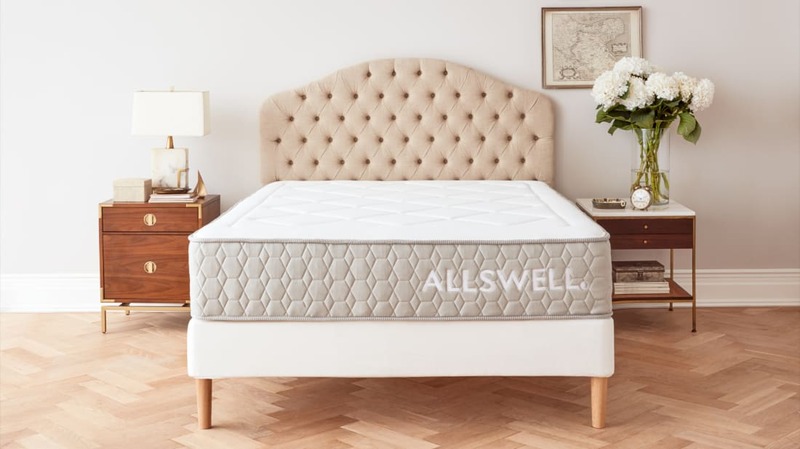 Now, Real Simple reports that the beloved Allswell mattress is finally back in stock. What has people most excited about the Luxe Hybrid are the high-quality materials. The 12-inch-thick mattress is made from a combination of coils and foam that is free of toxic chemicals like mercury, lead, and formaldehyde. A quilted memory foam topper comes built in, and an outer of layer of woven fabric keeps it cool on hot nights. While comparable mattresses can cost thousands of dollars, the Luxe Hybrid costs $345 for a twin size and $745 for a king. The product has earned a 4.6-star rating on Allswell's website, with reviews calling it "insanely comfortable" and comparing it to a "supportive marshmallow." One customer wrote, "The coil and memory foam combo is UNREAL. I look forward to going to bed every night. It has helped my back tremendously and I'm finally getting a good night's sleep." After a hiatus, the Luxe Hybrid is now back in stock at the Allswell online store. The mattress has also been sold through the brand's partner store Walmart, though it's currently sold out on the Walmart website.